We recently wrote a post about Rumie and their goal of assisting 1 billion learners across the globe. Thought it would be good to update our readers via this interview with Tariq Fancy of Rumie, which was recently aired via the Rotary eClub of Silicon Valley. 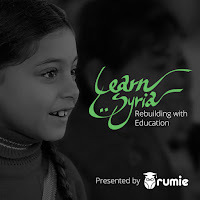 Please do take a look at Rumie's web site and get involved by adding to their LearnCloud! Get involved - check it out!!! You'll be glad you did. Here's a guest post from Monica Stampfl, a fabulous Modern Language teacher at Presentation High School (where I also work). It's about an important teacher goal: raising student trust (or lowering the affective filter) to ease students classroom anxiety and worry less about making "mistakes." It's a great read with lots of real-life examples. Many thanks to Monica for sharing this post, which she first posted on LinkedIn here. What do you do to gain students trust and provide a "safe" place to learn? Please share! Like many teachers, I use my summer off to refresh my mind, body and spirit after 10 months of being on a treadmill. There is no need for me to explain how busy I am during the school year, every teacher is, no matter how long they have been teaching. My day starts with a coffee and a browse through social media to catch up with my friends and family from all over the world. I do not subscribe to a particular newspaper or online material, so I rely on my friends to post articles about world events that they find interesting. It gives me insight on what is important to them and it nourishes my intellect. 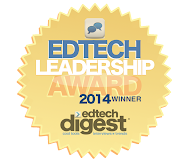 At the beginning of June, I discovered Edutopia.org. It is a website that gives teachers tips and suggestions on how to be the best educator possible. Sometimes the articles are based on research, but most of the time, they are good sound advice from experience of being an effective teacher. Today's article is You're Gonna Hear Me Roar: Overcoming Classroom Stage Fright by Todd Finley. Every teacher gets stage fright from time to time. Even after teaching for 22 years, there are days that I still get nervous before class starts. Many times, external factors are the culprits, but there are ways to overcome a case of stage fright that he mentions in the article. Finley's article touches on something else that is so important in the language classroom. Probably more important than anything is lowering the affective filter. There are many articles written on the topic and much research conducted, which can be confirmed by personal experience. Students need to feel like they can trust you and the class before they will risk making mistakes in front of you and their peers. They must feel comfortable and trust that you are not going to embarrass them or hurt their feelings. They too get stage fright and the way that you handle it will make all the difference in how they perform in your class. If you do not make your classroom a "safe" zone for each student, you will lose them forever. There are many ways to make the classroom a safe zone. This is by no means an exhaustive list. 1. Establish routine. Students appreciate having a classroom routine because they become comfortable in the routine. They know what to expect and know that there are no bad surprises waiting for them. My classroom routine starts with hello and then I ask them questions based on their level that they can answer. In French 1, it might just be how are you? In upper levels, they might share what they did or what they may have read or saw recently. This gives me a sense of where everyone is that day and brings them into the lesson and our community for the day. It also gives me the opportunity to know my students and have the best rapport possible with them. I know their likes and dislikes and can relate content to them. 2. Share the lesson objectives and map with them. This way they know what they are responsible for during the lesson. You don't have to list every activity, but they should know what they are expected to know at the end of class. 3. Make learning fun. This does not mean that they need to be playing a game every second of the class period, but show that you enjoy your subject matter and they will enjoy it to. Laughter definitely lowers the affective filter. 4. Share a little bit of yourself You have an opportunity to every tidbit of their life, they will find you more relate-able if they know a little bit about you. I usually share my outside of school interests, movies I have seen, funny things my pets have done or even sometimes use my family members and their pictures in my lessons. Teaching language makes this possible without crossing that student teacher line. 5. Reactivate prior knowledge. Every single lesson can incorporate and review prior knowledge in language classes. Reactivating or reviewing prior knowledge makes them feel comfortable in knowing that they know something about the lesson on that day. 6. Check for understanding and learning often. A teacher's repertoire should be full of these. The importance of checking often is so that you know exactly where each student is with the material. 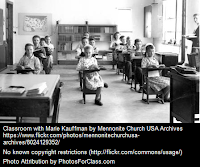 Do they need more practice or more individualized attention? If the whole class is struggling than the material needs to be retaught. 7. Apply content to real life. I cannot take every single one of my students to a French-speaking country to have them practice vocabulary and grammar. What i can do is create a French-speaking environment for them. Once they have enough vocabulary, I expect them to communicate with me and their classmates in French whenever possible. Even the conversation between activities must be in French. I speak French 95-100% of the time depending on the level. I use authentic documents and videos (created for French-speakers) whenever possible. And most importantly, my students participate in situational simulation activities during and a the end of every chapter and concept. Global simulation would be ideal but not practical with my current teaching schedule, but I can get close. These are the activities the students enjoy most. And the content becomes more meaningful. There are many more techniques to lowering the affective filter. Perhaps the most important factor is that they enjoy your class and look forward to coming each day because they know that they are cared for and will learn something meaningful. Here's a note that appeared recently in our friend Rushton Hurley's newsletter... Click the link, watch the videos, and please vote now! We'd love for you to focus a little of your time helping us choose the Videos of the Year for the best submissions from the 2014 contests. Intrigued? 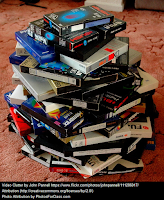 There are thirteen videos across the three strands, and each follows the rule of being no longer than 90 seconds (with up to another 60 seconds for credits). Voting on every strand should in total take less than thirty minutes of your time, and it'll be a half hour that should provide some cool ideas for you. Why do this? Mainly it's a chance to do what NextVista.org is all about - highlight creative approaches to learning something and celebrating those who put in the work. However, this is also a good opportunity to see what others have done and get some ideas for projects you may do once school starts again in the coming months. Are you in? If so, click here for the links and the ballot. Please cast your vote by the end of day (US Pacific time) on July 26th. We appreciate the help! Top June Posts: TechWomen, Apps, Chromebooks, Summer Ideas and... more! 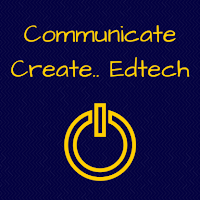 Here are the top posts from ccedtech.com for June. Enjoy!